It must be the New Year as I am in cooking mode and trying out ideas rather than following recipes. 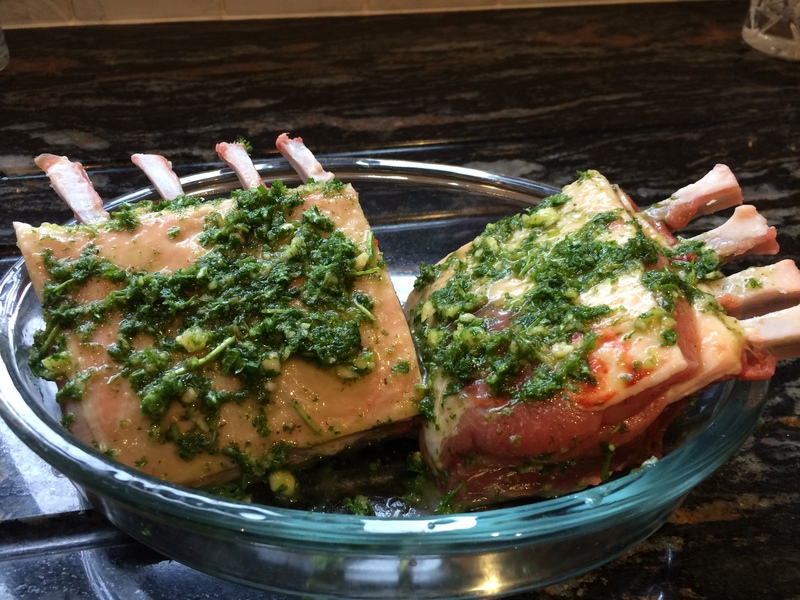 I picked up a lovely rack of lamb from my local butcher this week, beautifully trimmed, and decided to make a marinade using two cloves of garlic, small piece of chilli (it was Scotch bonnet so only a tiny bit), fresh mint leaves, fresh parsley, honey, olive oil and seasonings. I blitzed it all together quickly and massaged it into the meat which I had cut into two lots of four ribs. I did this early in the morning so it could sit in the marinade all day. I still have some boxes of blackberries in the freezer, picked on the Isle of Wight last autumn so I thought that a honey, balsamic vinegar, blackberry reduction would really compliment the meat. 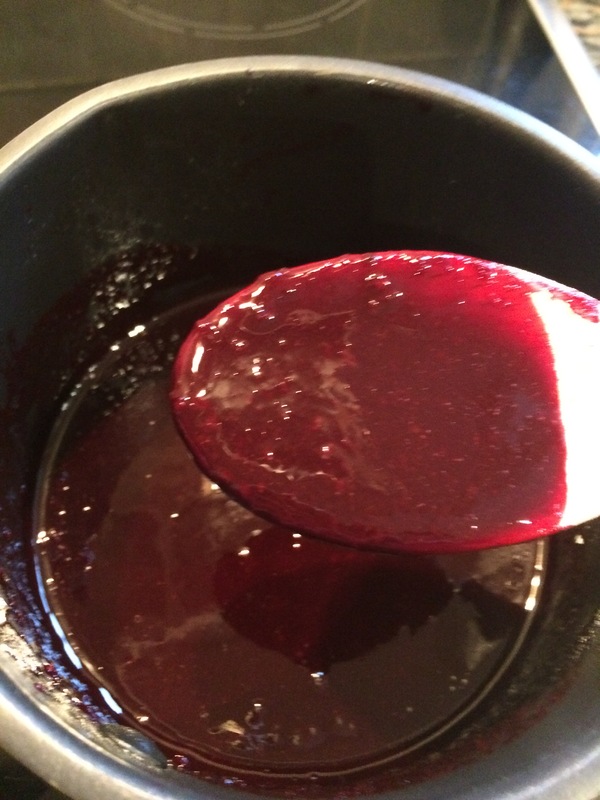 I just simmered the blackberries with a good lug of vinegar and squirt of honey and once softened, pushed it through a sieve to remove the pips. It tasted heavenly – sharp and sweet at the same time. I have been trying out various ‘charred’ vegetables lately to ring the changes and one of our favourites is chicory although baby gem lettuce and pak choi come in close seconds. It is very quick to heat a griddle or frying pan with a touch of oil, cut the chicory, lettuce or pak choi in half and simply char each side for a minute or two. With the potatoes on to simmer, I seared the meat on all sides on my griddle then popped it into a pan and left it in the oven for about 25 minutes at 375°F. Unfortunately, I don’t like my meat too rare so for most people, this will be overdone. Adjust cooking time accordingly. It is important to allow the lamb to ‘rest’ for at least ten minutes before carving carefully between each rib. Whilst it is resting, mash the potatoes with a small knob of butter and season to taste. Heat the griddle to high and sear the chicory for a couple of minutes on each side. 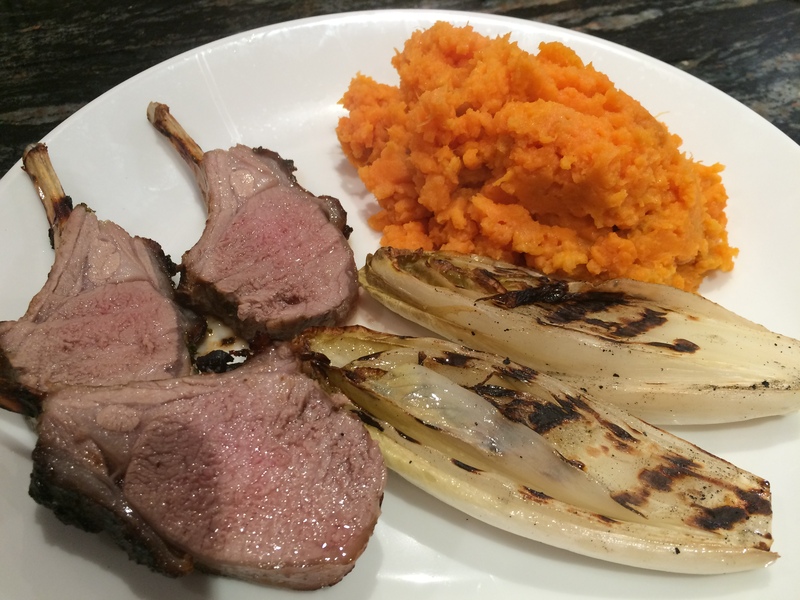 Rack of lamb with sweet potato mash and charred chicory – well done – a little overdone for most people. 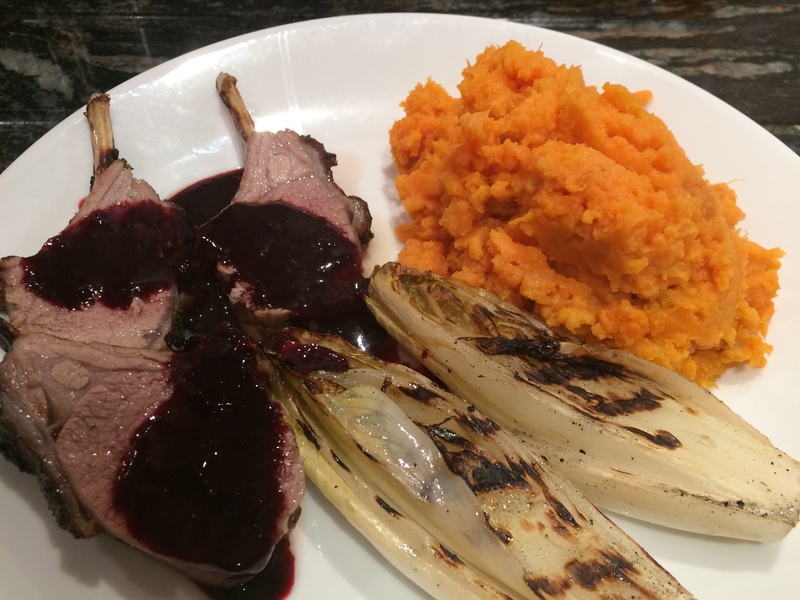 Rack of lamb with delicious Blackberry sauce. 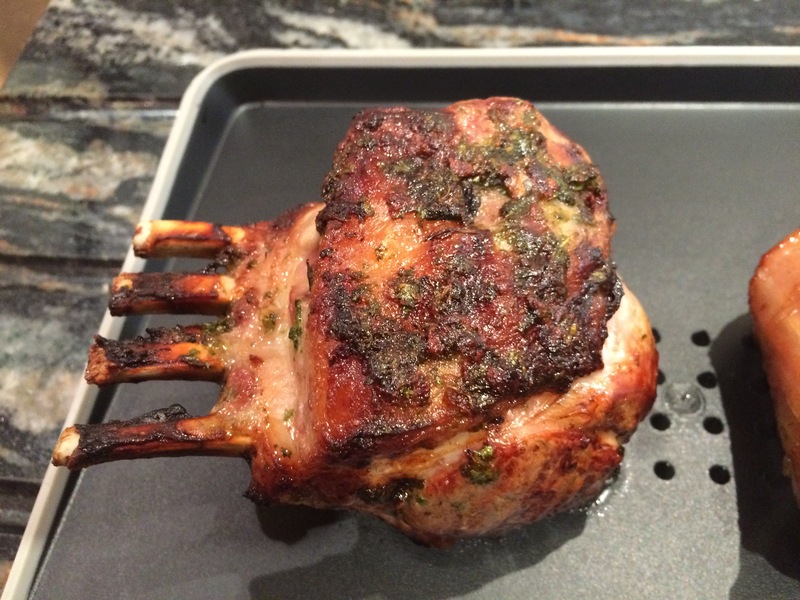 This entry was posted in Dinner and tagged Chicory, Dinner, Gluten Free, Healthy Eating, Lamb, Mash, Rack of Lamb, Recipes, Sweet Potato, Vegetables. Bookmark the permalink.